The other day, you'll probably have seen that I visited Meat Liquor in Leeds Trinity. To make a bit of an afternoon of it we also incorporated a little trip to The Alchemist which is on the top floor of Trinity; it's quite a popular place from what I can gather, I've seen and heard loads of people talking about it and I felt like I was missing out so I had to go see what the fuss was about. The setting is beautiful, I felt like I was in an oldie worldie library with art deco styling; there are comfy sofas if you can bag one for you and your friends and places to sit and eat but me and Jason chose to sit at the bar because we knew we just wanted drinks. 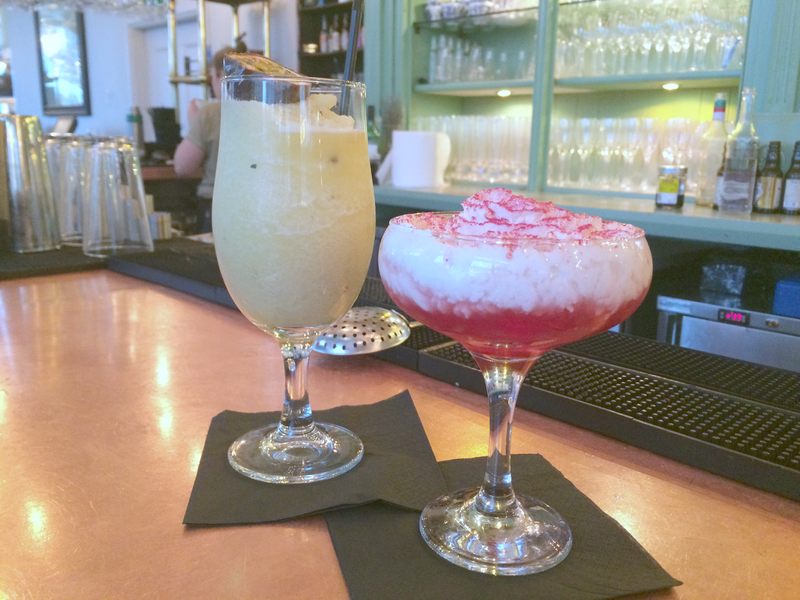 The Alchemist are known for their fun cocktails, their not just a regular cocktail joint they have a massive menu full of different concoctions which are pleasing to your eye and your tastebuds (some of them also leave you a bit puzzled as to how they do them!). The menu is actually quite overwhelming at first because there's so much to choose from and although they show the ingredients they don't really give anything away as to what each cocktail 'does' so it's a bit of a guessing game. The first cocktail I chose was a White Chocolate Raspberry Martini because I wanted something that was a bit of a dessert as well as a drink to finish my meal that I'd had at Meat Liquor. Jason had to go for a non-alcoholic option so he chose a Virgin Pornstar (of all the cocktails he could have chosen he had to go for one with a name like that didn't he?! ); the VP was a bit like a slush drink with lots of fresh passionfruit, pineapple juice, vanilla syrup, lemon juice and sugar. It was a really gorgeous refreshing drink, Jason did actually say that it was the best non-alcoholic cocktail he'd ever had because they tend to have a reputation for being a bit crap and unimaginative in a lot of cocktail bars but this one was something a bit different. The White Chocolate Raspberry Martini was tart but sweet at the same time and the white chocolate foam (cream) was incredible. 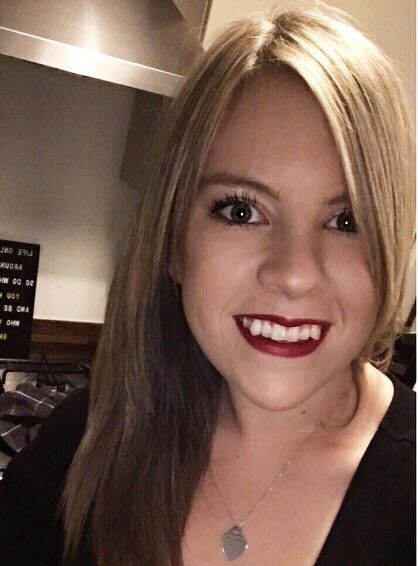 It was definitely a strong cocktail; I could really taste the raspberry vodka and liqueur and I would say that it probably ended up being about 60% alcohol 40% cranberry juice and cream. It was really tasty and just what I was looking for to finish off my meal. 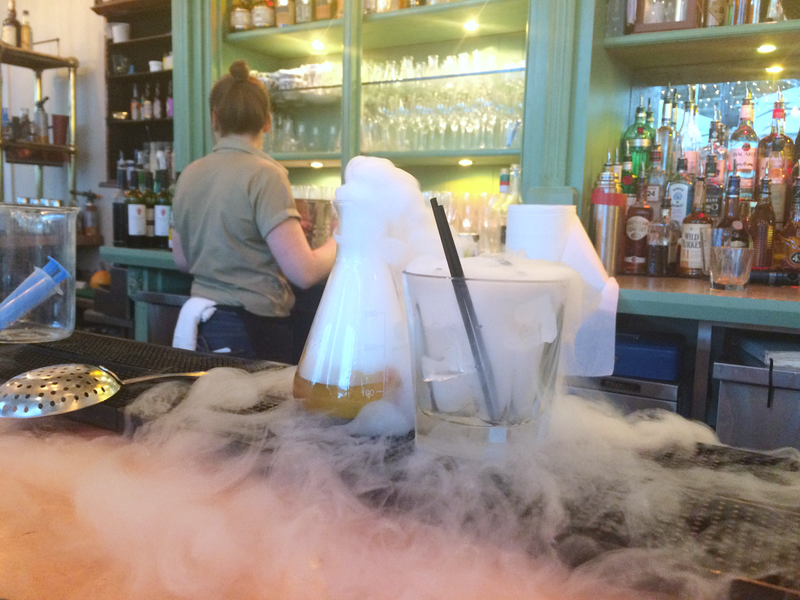 Here we have a conical flask (exactly like you see in secondary school science lessons), orange peel, dry ice, Marmalade vodka, vermouth, lemon juice, sugar and bergamot flavoured drops. 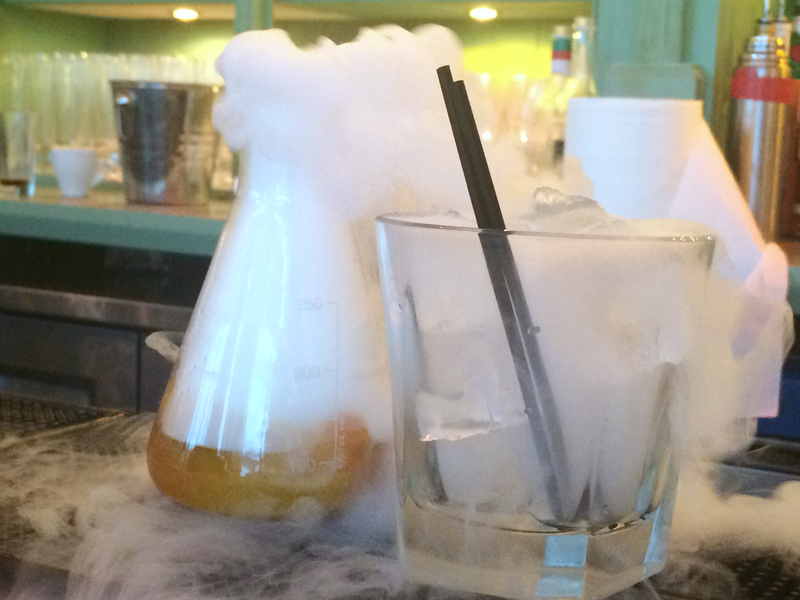 The bartender actually boiled this up and served it over dry ice in the conical flask ready for me to pour into the glass, now that's what I'm talkin' about! Before I'd even tasted it I was impressed. To be totally honest I wasn't expecting to like it as much as the previous cocktail but it actually was a lot fruitier than I was imagining and not half as bitter. Apparently it's one of their most popular cocktails and I can totally understand why because it has everything you want from an Alchemist cocktail; it's tasty and fun. Like I said they have an immense menu of different cocktails and it would take a lot of time and money to actually work your way through them. Individual alcoholic cocktails range between £6.95 and £8.50 which to me is a very fair price for a city cocktail with a difference. 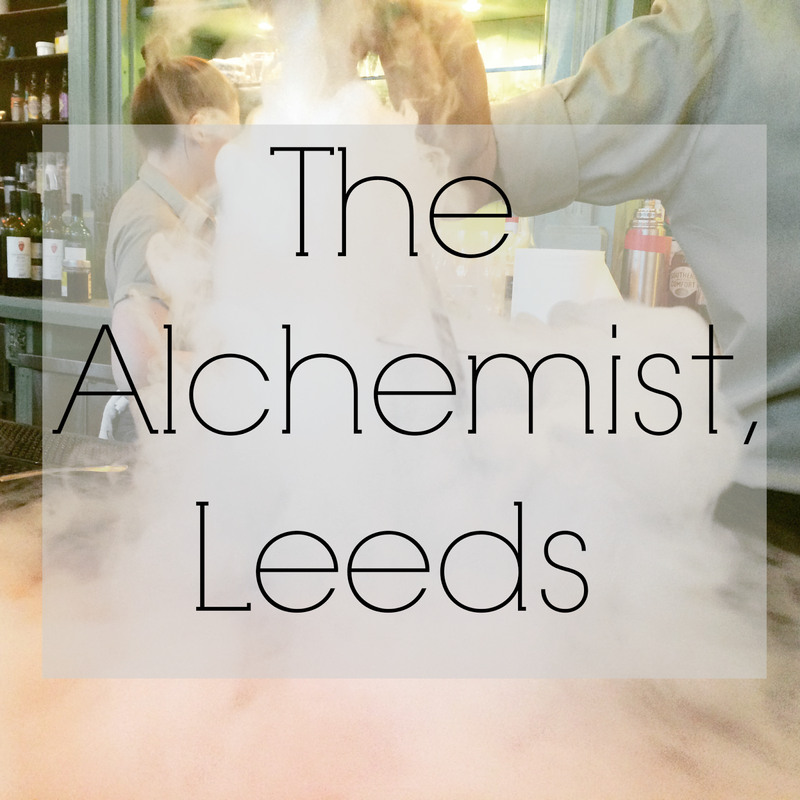 I will definitely visit the Alchemist again and sample one of their Mad Hatter's Tea Party sharing cocktails which comes complete with smoke and tea cups - so cool! I would definitely recommend visiting during the day or a week day evening if you can because I hear it can get a little bit mental over the weekend but either way I'm sure you'd have a brilliant time if you did pay them a visit. If you're not around Leeds there are also locations in Manchester and London. 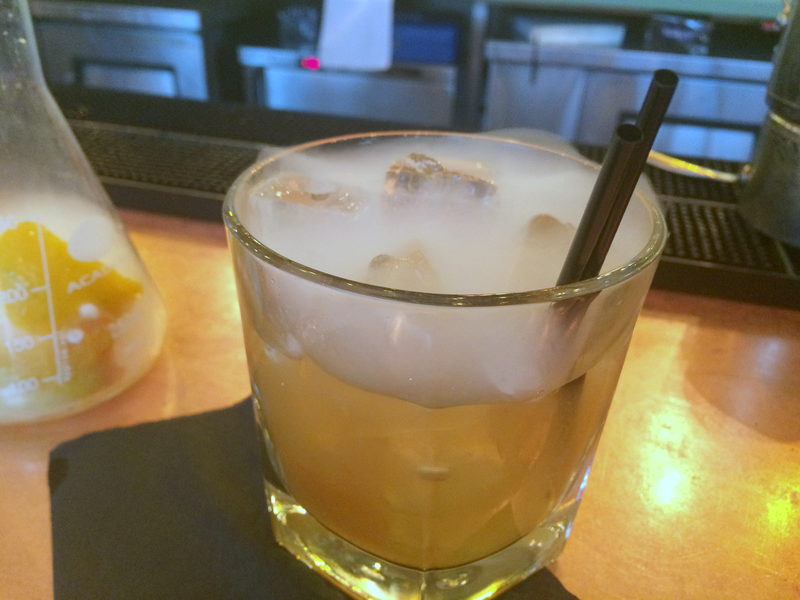 Have you ever been to The Alchemist?